Do you have the skills to apply advanced analytics and a passion for data driven consulting? Do you want to gain insight in Novo Nordisk data and solve a real life business case? The best presentation is honored with a price of 15.000 DKK. Upon last year’s success where more than 160 students participated in the workshops and case competition hosted by Inviso and Deloitte, you are now invited to leverage your skills within the field of data driven consulting. This year Novo Nordisk has supplied data from their organization/production along with a business case they want you to solve. As one of many C20 companies in Denmark, Novo Nordisk are using Tableau and Alteryx platforms to perform advanced and automated analytics that disables redundant work processes and deliver business value. The ability to optimize production by data driven decision-making is crucial to deliver continuous growth within the pharmaceutical industry. We want you to apply your knowledge from your studies along with the toolbox you will develop during our workshops. The aim is to deliver valuable insights from data supplied by Novo Nordisk and present a solution of the business case. · Alteryx beginner workshop March 21st 2018, from 17.00-20.00. · Alteryx intermediate workshop April 4th 2018, from 17.00-20.00. · Tableau visualization workshop April 11th 2018, from 17.00-20.00. It is not mandatory to participate in both the workshops and case competition. You can choose to only participate in the case competition or vice versa. The business case and data from Novo Nordisk will be released Saturday morning at Invisos office. You may work in groups of 3-5 participants and solve the case remotely. The deadline for the competition is Sunday April 15th at 12.00 am. Details in terms of requirements for submissions will appear with the release of the data and business case. The evaluation of the business case will be upon your technical capabilities and ability to present insights that deliver organisation value, as well as solving the business case. You will present your findings in front of a panel consisting of Senior Managers from Novo Nordisk and Consultants and Partners from Inviso. 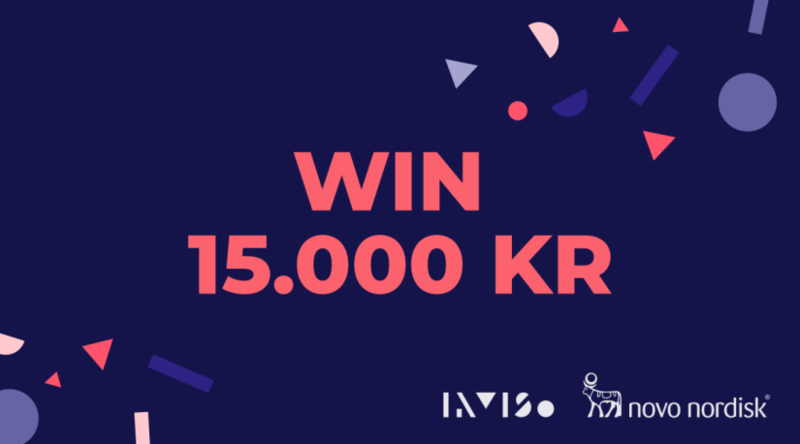 The best performing group will be honored with a price of 15.000 DKK. After the rewards all participants are invited to a final party with food and drinks. Once you have signed-up for the workshops and/or case competition you will receive an email which will guide you through the download of the Tableau and Alteryx software. To sign up for the workshops and competition please click here. When you sign up please attach your CV and grade transcript from your education. If you do not have a group, you are still welcome to submit your application and we will find a group for you. All educational backgrounds are welcome to register.